• Restores natural sleep cycles. • Ideal for travelers: Minimizes jet lag and and resets your body’s biological clock. • Therapeutic herbs and amino acids lower anxiety and calm the nervous system. • No side effects or drowsiness. 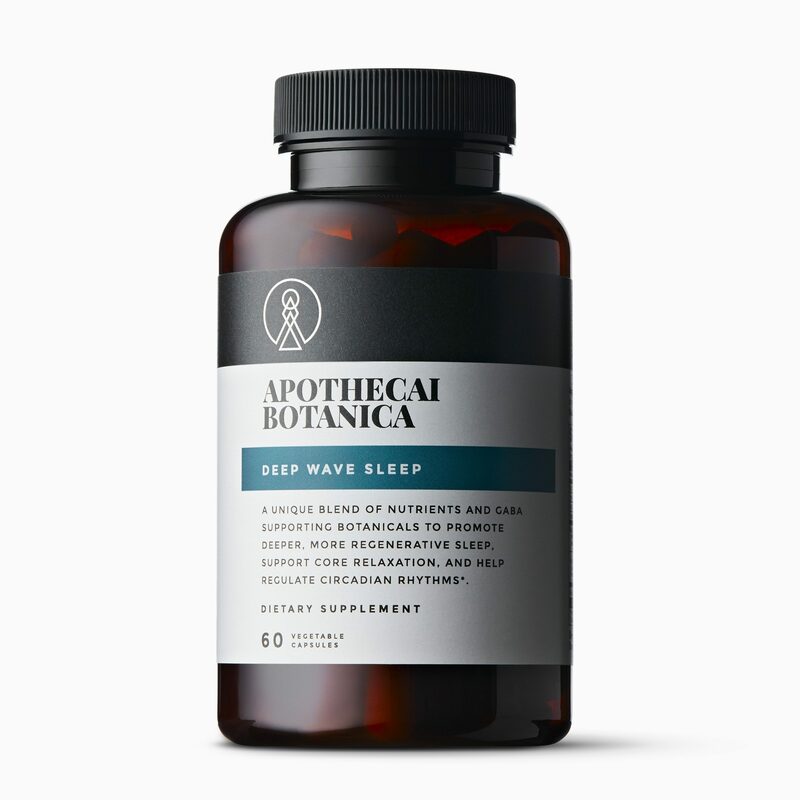 DEEP WAVE SLEEP is a synergistic blend of botanicals, nutrients, and Chinese herbs that restore natural sleep cycles. By supporting our internal circadian rhythms, this gentle and effective blend allows for vital regeneration in the brain and tissue repair throughout the body. Deep sleep is crucial to mental acuity, glowing skin, and overall excellent health. Lack of sleep has been linked to everything from depression and chronic inflammation to decreased immune functions and weight gain. An occasional night of good sleep isn’t enough: To reap deep sleep’s full benefits we need to sync our bodies’ biological clocks and sink into regenerative sleep every night of the week. As a dietary supplement, take 2 capsules at bedtime, or as recommended by your health care practitioner. Caution: Not for use when operating a vehicle or heavy machinery.